Gul Ahmed released Gul Ahmed printed lawn range 2013 as part of Gul Ahmed lawn 2013 collection. Most of the printed lawn suits of Gul Ahmed are included in its Normal Lawn collection. They are quite lovely and consist of printed dupattas, shirts and dyed shalwars. They are quite economical when compared to other brands and when considering quality. The suits in Gul Ahmed printed lawn range 2013 are priced at Rs 2500 each. Apart from being quite pretty, these lawn suits are also quite comfortable. They will surely keep you cool during the hot summers. 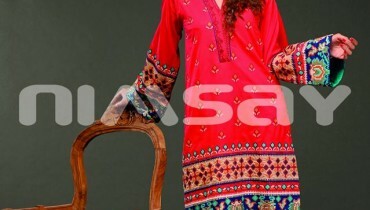 So, if you want comfortable and stylish dresses, check out Gul Ahmed printed lawn range 2013 for women.